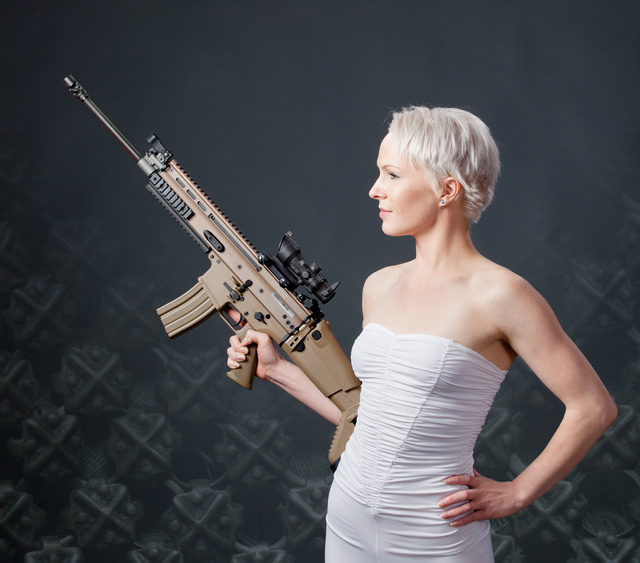 This entry was posted in rifle, weapon and tagged 223, dress, optics, scope, semi-automatic, white. Bookmark the permalink. I think their stock is shaped wrong. It should be sloped the other way, so that recoil forces the gun away from their cheek, not into it. That and the reciprocating charging handles seem to be the two dominant complaints about the design. Insert obligatory “There’s a rifle in that photo?” comment. Good lord that is beautiful woman!